Skill Distillery is a 16 week coding school based in Denver, Colorado that focuses on developing junior programmers with current, in-demand skills. Our Mission: We want our students to have the software programming skills necessary to meet the needs of today’s businesses, while providing them a foundation to adapt to new technologies and maintain a competitive edge throughout their career. 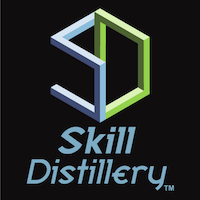 Our Solution: Skill Distillery wants to be the one-stop shop where students can get the skills they need to land a rewarding job as a software developer, and our network of corporate partners can access a deep pool of well trained, career-oriented job candidates. Our History: Over the last 25 years our sister company, Batky-Howell Training (www.batky-howell.com), has trained 40,000+ software developers from small startups to Fortune 25 corporations. Skill Distillery leveraged this experience in creating a program that teaches the most up to date and applicable technologies based on what our corporate clients look for in a new hire entry level developer. Our students have all the skills necessary to land a job as a junior web developer, but our focus is on long term career positioning. The program we offer gives students the ability to become Full Stack developers with an emphasis in technologies which have the broadest appeal to employers. Financing / Scholarship Options available.